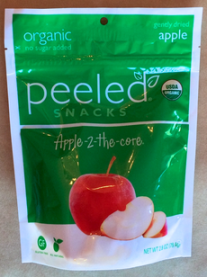 Peeled snack’s Apple-2-the-core are one of our favorite healthy snacks to eat on the go. Stash a bag in your purse or car for healthy snacking at any time. These dried apples are organic, gently dried and all natural- no sugar added. 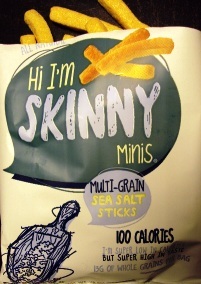 I received a pouch of these snacks in my January Box from Knoshy. I think that these tasty pieces of dried apple would taste good with just about any tea, but I wanted to choose a pure tea so that the flavoring wouldn’t compete with the flavor of the apple. I chose this Hoji Cha Gold from Kyoto Obubu Tea Plantation, and I loved how the nutty, sweet flavor of the tea complemented the sweet flavor of the apple. A really nice pairing! After having tried the Pine-4-Pineapple from Peeled Snacks, I was fairly certain I’d enjoy this dried apple snack from Peeled Snacks. And I do! The apple has been sliced and they’re fairly thick slices so I get lots of apple-y flavor in every bite. These aren’t like the crisped apple chips that you can find in just about any grocery store these days (I like those too though!) These are softer and chewier, and the way these have been crafted allow for a lot of true-to-the-fruit flavor. I really like these dried apples. I love the texture: soft and chewy! I love the sweet taste, and there’s just a hint of tartness to them too. I love how the drying process has concentrated the flavor of the apple so I’m just getting APPLE in every single bite. There’s only one thing I don’t like about these snacks … I don’t like that the pouch is now gone. 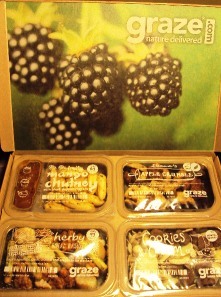 My January Graze Box has arrived! And again … it’s not late! I am! 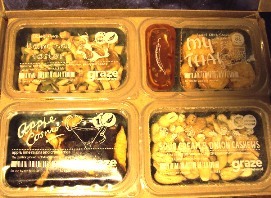 This Graze box arrived a couple of days ago – within the month of January. And really … because this box is set up on a 4 week cycle rather than a monthly delivery plan, so it’s all good. And all four of these snacks in this month’s box look good! I got a tray of fruity Mango Chutney with Black Pepper Dippers, an Herby Bread Basket tray, a Cookies and Cream tray, and Eleanor’s Apple Crumble. These all sound really yummy. I love how Graze seems to balance out the snacks too. I have some savory selections and some sweet selections in each box. So, no matter what mood I’m in, I can find something that will please the palate. I have a couple more Friend Invitation codes for Graze if you’re interested in joining! The cost is just $6 per box, and this covers shipping and you can customize your shipping options to have a box sent to you every 2 weeks or every 4 weeks. Every snack tray has health benefits – these are thoughtfully curated boxes with nutritious snacks! If you’re interested in obtaining a Friend Invitation Code, just comment on this post with your email and I’ll send you an email with the code! My Graze Box for December has arrived! And no that doesn’t mean that Graze is late. It’s just the way my payment schedule has been set up. This is not the “usual” subscription service, that charges your account on the same day each month, and you receive a box every month. Graze ships your box every four weeks, charging your account before your box is put together and shipped. I like how this box is set up: two savory selections and two sweeter selections! I can’t wait to dig in! Cinnamon has long been known for its healing qualities. We can’t think of any better therapy than our unique blend of cinnamon sugar-infused caramel. Craving the perfect recipe? This is sweet relief. Pure, natural ingredients combined to make a snack that’s deliciously addictive. I received a bag of these yummy corn puffs in my September Love With Food box. Since these have a delicious cinnamon-y taste to them, I wanted to go with a pure tea so that i could enjoy the cinnamon notes. I decided on a tea with some natural cinnamon flavors to it, so I chose this Vietnam Black OP1 from Single Origin Teas. I loved how well the tea complemented the corn snacks. The cinnamon notes of the snack brought out the cinnamon-like flavors of the tea. Really tasty! 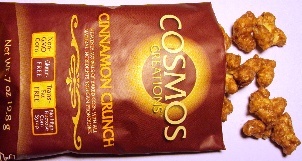 Having enjoyed both the caramel and the salted caramel Cosmos Creations, I was fairly certain I’d enjoy the Cinnamon Crunch variety. Sweet, warm with cinnamon, crunchy … I like that these are slightly less sweet than the caramel version as the cinnamon cuts through some of the sweetness. As I’m eating these, though, I can’t help but imagining them in a bowl with milk and eating them like a cereal. This flavor, especially, has a very “cereal-ish” quality to it. That’s not meant to be a criticism or a praise … just an observation. I like these. I can definitely seeing myself buying more of these and fortunately, I have seen them in stores, so I won’t need to order them.